Pearl Izumi, maker of performance run footwear and apparel, announces the third iteration of its most popular line of road running shoes. The Road N2 v3 and Road M2 v3 feature a blazing fast look and improved, responsive ride for both neutral and mild over-pronator road runners. 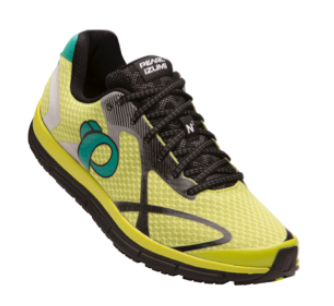 Pearl Izumi’s patented midsole technology delivers runners the smoothest experience out there. This technology combines a Dynamic Offset midsole, allowing the foot to move through stages of the gait cycle continuously and without pause, creating the most fluid of running experiences. Additionally, Pearl Izumi’s footwear stands out for its Next Generation Seamless Upper. This design element adds lightweight structure and upper integrity with unlimited opportunities for textures, layers and colors. The Road N2 v3 and Road M2 v3 are available now and can be purchased at select retailers nationwide or online at shop.pearlizumi.com. · Dynamic offset-shaped midsole in the N2 v3 is biomechanically tuned for a neutral to supinator running gait while a high-density post at medial mid-foot in the M2 v3 is engineered for pronation control.